A Pakistani diplomat in Europe said that Pakistan is not legally bound on the moratorium on death penalty, therefore, unlike the popular perception, it is not going to lose duty benefits under the GSP Plus scheme. Pakistan is bound to implement 27 international conventions to continue with the GSP Plus scheme but these conventions do not bind the signatory to abolish death penalty, revealed this anonmous diplomat. Islamabad is not legally bound to keep moratorium on executions. 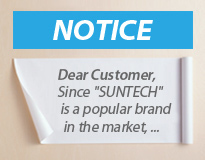 SUNTECH, one of the leading designers & manufacturers on textile machines for weaving and finishing units, especially for Fabric Rolling Machines.